When many of us think of reptiles we immediately envision them as egg-laying creatures, but there are some reptiles that actually give birth to live young. All of the reptiles in this second category possess a rudimentary placenta (the vascular tissue which, in mammals, nourishes unborn offspring), but until recenty, not one of them was believed to have a true placenta. T. ivensi may not look like much, but it's the first known reptile to possess a placenta that allows its young to actually implant itself in the walls of its oviduct (the egg-carrying tubes that run from T. ivensi's ovaries to the outside of its body) to acquire the bulk of its nutrients, just like mammalian offspring. In other words, what makes T. ivensi's a "true" placenta is how mammal-like it is, and how dissimilar it is to every other known reptile. In almost all other live-bearing reptiles, the unborn young are isolated from their mothers' placentas. Enveloped instead by a vestigial structure reminiscent of an eggshell, the young receive most of their nourishment from a large yolk, also contained within this eggshell remnant. T. ivensi has an eggshell remnant, too, but it is much, much smaller, and houses a more meager yolk. Moreover, as T. ivensi develops in the womb, it sheds its shell, and, in a process known as "placentation," attaches itself to its mother's uterine lining and links directly into her circulatory system. In the process, T. ivensii gains access to all the nutrients it could ever need. In a paper published in the latest Journal of Morphology, researchers Daniel Blackburn and Alexander Flemming, who uncovered T. ivensi's embryo-nourishing secrets, describe the process as "fundamentally different" from that employed by any other known reptile, including live-bearing ones. 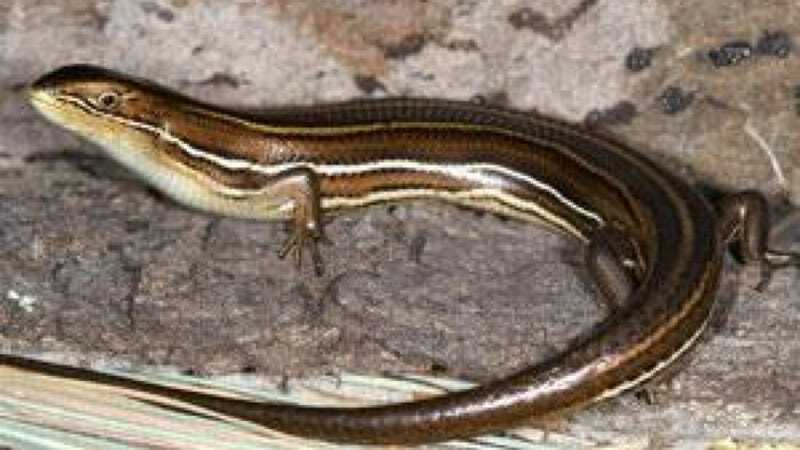 "T. ivensi," they write, "represents a new extreme in placental specializations of reptiles, and is the most striking case of convergence on the developmental features of viviparous [i.e. live-bearing] mammals known."